Folks know I love Patterning as most people do. It’s such a wicked drum sequencing app. 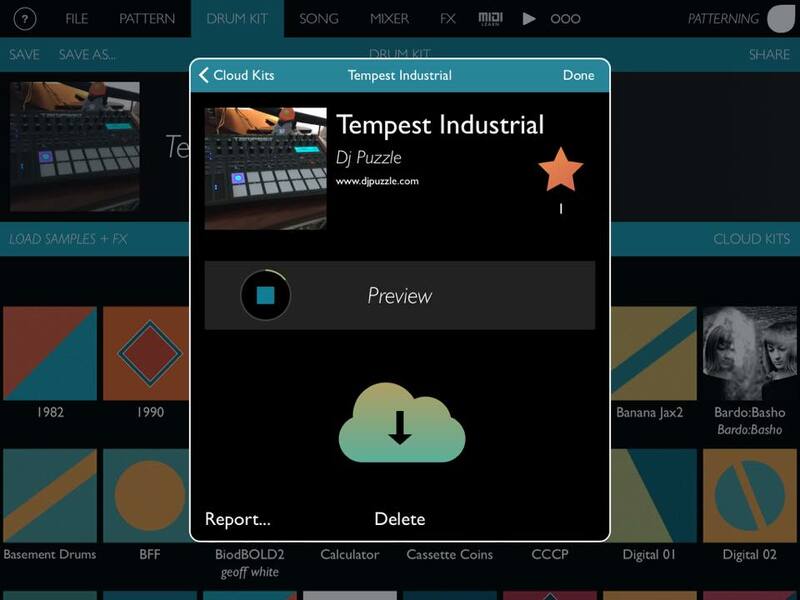 I’m currently beta testing a new feature that allows users to share their drum kits and patterns via the cloud. 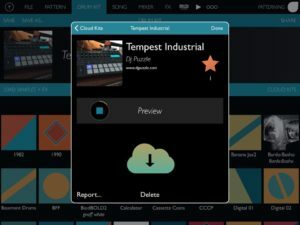 I’ve shared my Tempest Industrial kit which is a set I made on a Dave Smith Instruments Tempest drum machine. The following is a video demonstration for my Industrial kit. I made this video a while back before the cloud kit feature was added.